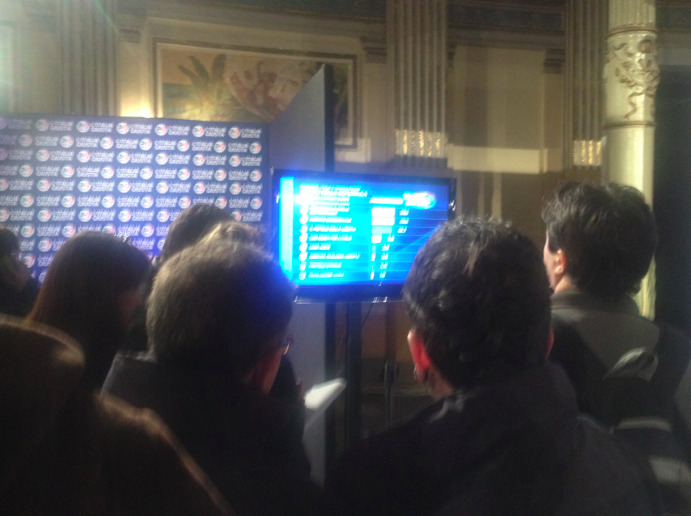 Tension is growing in the press room here, and people are gathering around monitors, as some polls show Berlusconi leading in some Senate races here. Perhaps the initial polls were too skewed in favour of Bersani. Here’s a shot of reporters gathering around a TV screen, which shows how reporting really gets done.